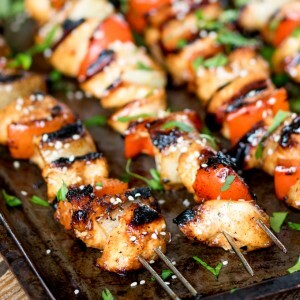 Tender pieces of marinated chicken cooked on a BBQ or griddle for a sweet and smoky flavour. 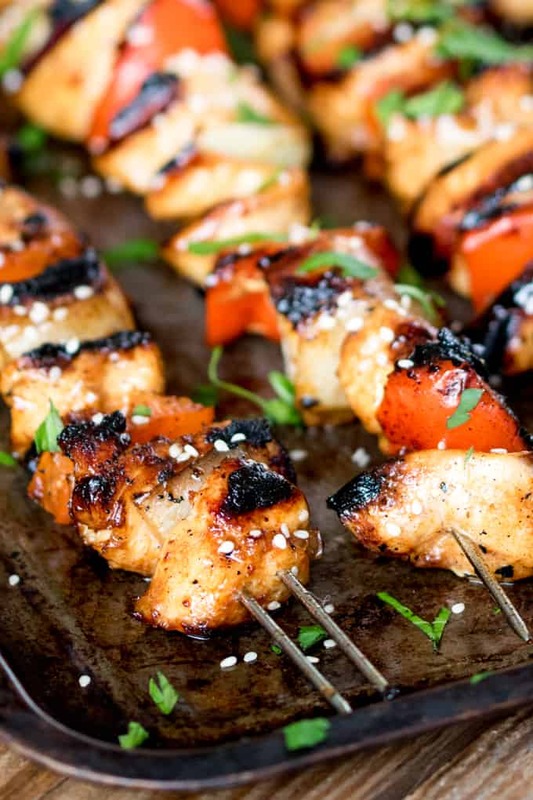 These Honey Garlic Chicken Skewers are a winner on the BBQ! Can’t wait to get the BBQ out! Actually, I won’t be touching the BBQ. Chris won’t let me. 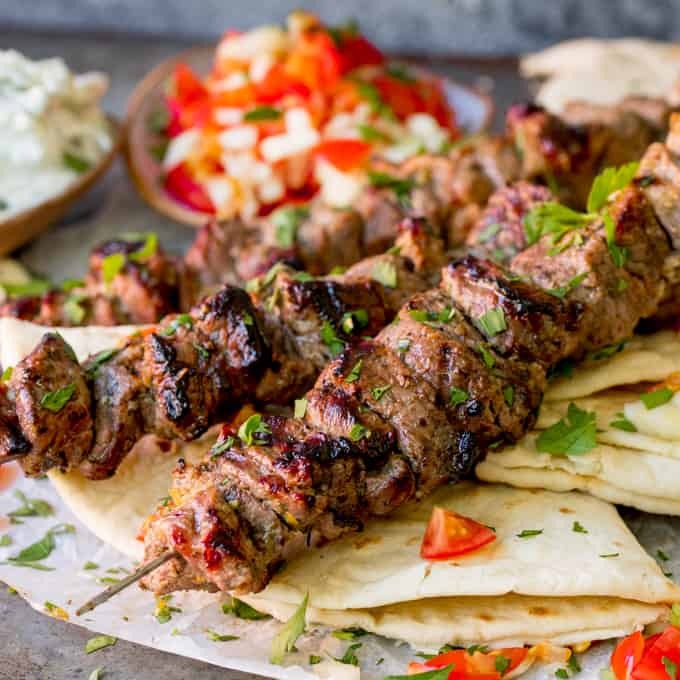 But I can’t wait to eat BBQ food like these chicken skewers (or these Thai fish cake skewers or these lamb souvlaki kebabs!!). We’ve even splashed out on a new BBQ this year. 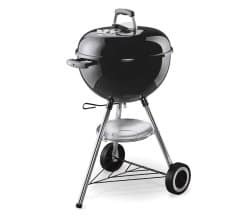 We have a brilliant Weber kettle one at the moment, but Chris has decided that he needs two BBQs in his life. So our new, massive ‘drumbeque’ version is arriving this week. I guess we’ll be having some BBQ parties this summer! 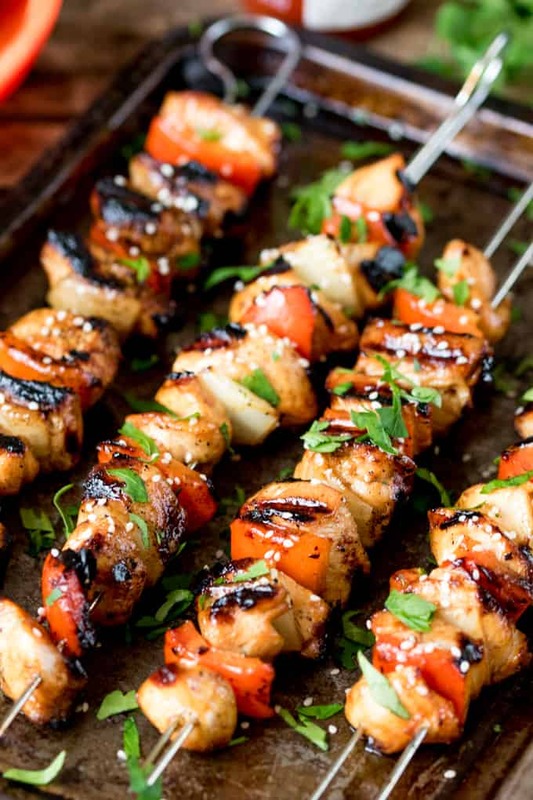 These honey garlic chicken skewers are an absolute favourite with everyone. The chicken is marinaded for an hour or so before cooking, and then it’s spread with more marinade during cooking to keep it moist and tender. I like to thread mine with peppers and onion too – I’m a sucker for chargrilled veggies. They take on some of the honey garlic flavour, so we don’t even get an argument from the kids for eating their veg. Make a few extra and save them for lunch the next day along with some cous cous and leaves. 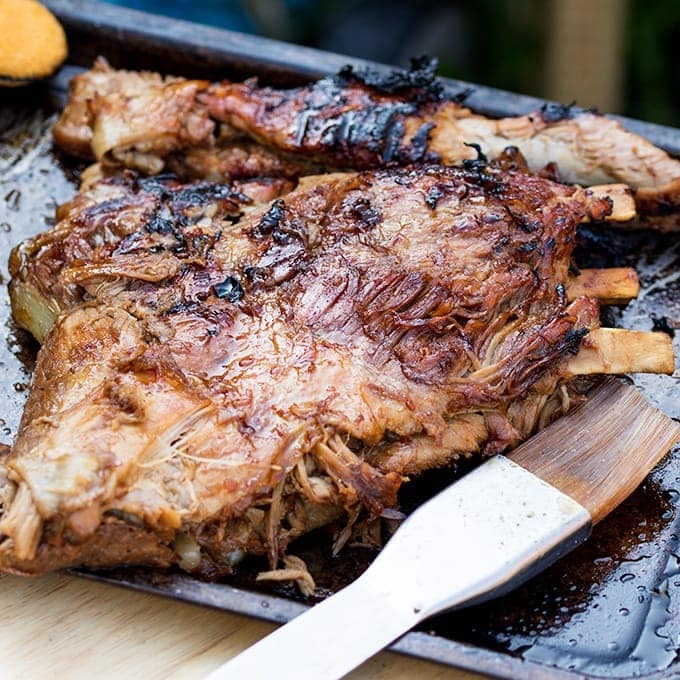 Do you have any favourite BBQ recipes? I’d love to hear! 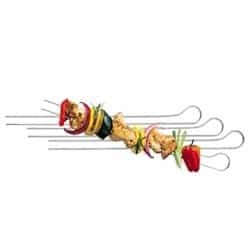 Honey Garlic Chicken Skewers - Tender pieces of marinated chicken cooked on a BBQ or griddle for a sweet and smoky flavour. Mix all the marinade ingredients together in a small bowl. Place the chicken in a plastic sandwich bag or a bowl and pour on three quarters of the marinade (save the rest for brushing on the chicken during cooking). Cover and place in the fridge for 1 hour (or up to a day). Soak your skewers if they're wooden ones (to prevent them burning) or use metal skewers. 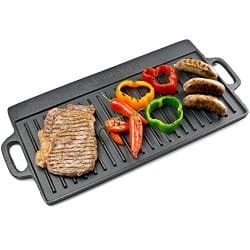 When you're ready to cook, heat your BBQ or griddle until it's very hot. Thread a piece of chicken onto a skewer, followed by a chunk or red pepper, then a piece of chicken and a slice of onion. 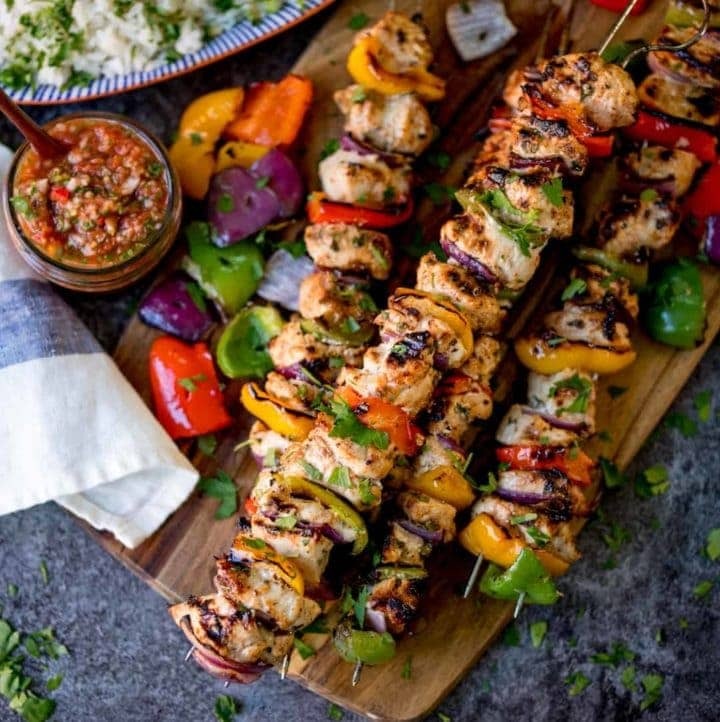 Repeat until you use up all the skewers and chicken. Discard any of the marinade left in the bag/bowl. 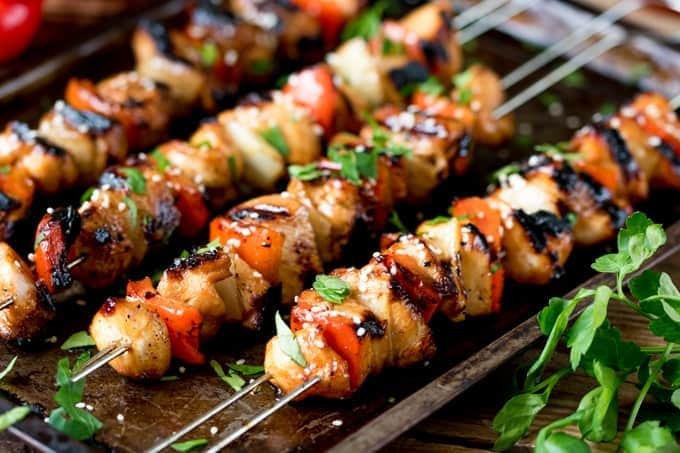 Place the skewers on the BBQ or griddle, and cook for 8-10 minutes until cooked through. Turn 3-4 times during cooking, and brush with the reserved marinade half way through cooking. To check the chicken is cooked, slice open the largest piece and make sure it's no pink in the middle. Sprinkle with sesame seeds and coriander, then serve with salad and rice or potatoes (try these Greekish potatoes) if you like. Nutritional Information is per serving, calculated on 4 skewers. 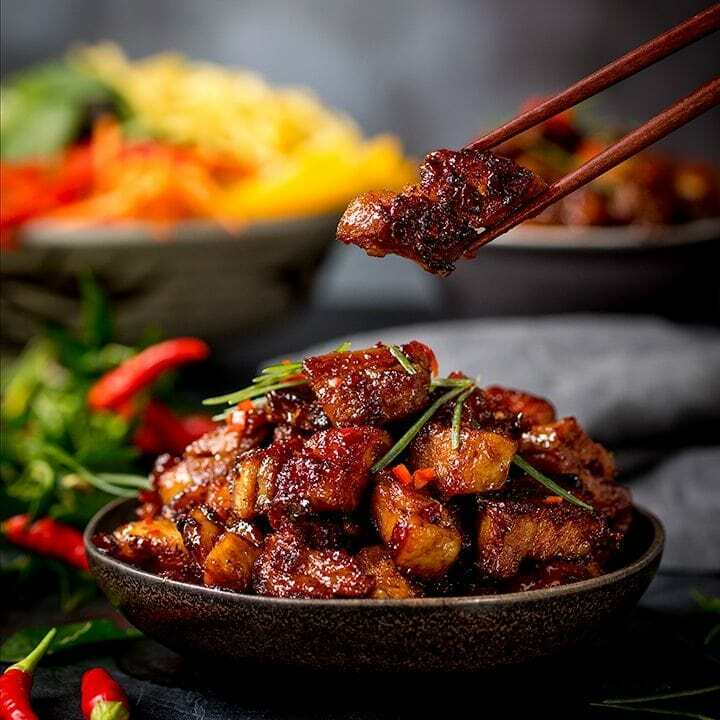 Sticky Chinese Pork Belly PLUS VIDEO! Send me an email when we publish a new recipe. We did these last weekend, in that glorious bank holiday weather. Enjoyed greatly accompanied with your Greekish potatoes. 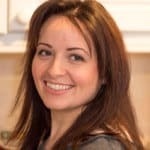 I’m Nicky – recipe creator, chocolate devourer, wife and mum. Hope you enjoy the recipes!